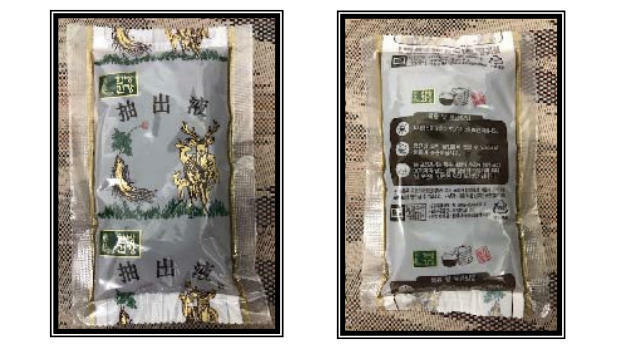 A Los Angeles company is recalling herbal tea made from deer antlers after two people who drank it became sick, according to the California Department of Public Health. The tea may be contaminated with Clostridium botulinum, a rod-shaped bacteria that causes botulism — a life-threatening form of food poisoning. Even when microscopic amounts are consumed, people can become seriously ill or die. Officials are investigating two cases in which Orange County, California, residents became sick. U.S. Deer Antlers Exports and Imports Inc. sold the herbal tea to acupuncturists and individuals in seven states: California, Florida, Illinois, Maryland, North Carolina, Texas and Virginia. The tea comes in 6-inch by 4-inch plastic packages with drawings of deer and labels in Korean. The product does not include lot codes or "best by" dates. Botulism toxin is odorless and colorless, so consumers will be unable to determine if a product is affected by looking at it or smelling it, California health officials warned. Customers should dispose of the tea, and any foods made with it, immediately by double bagging the pouch into tightly-closed plastic bags and placing them in non-recyclable trash bins outside of homes. "Wear rubber or latex gloves, if possible, when handling potentially contaminated products or wash your hands with soap and running water for at least two minutes," health officials advised. People who suspect they've consumed the tea and are experiencing any ill effects should immediately call their doctor. Anyone who sees the product being sold are encouraged to report it to your county or city health department. For more information about how to contact your local health department, visit the U.S. Department of Health & Human Services' state agencies page.